Should We Update Kino Rules? The vision of Kino Sydney is: Foster, support and lead a local filmmaking community that provides a platform for creativity, collaboration and personal development. To do that, we want our filmmaking community to be as active and encompassing as possible. In order to stay on track, we need to always revise what we do and be looking for what we could do differently. The question we are tossing around at the moment are the Kino Sydney rules. Kino is meant to be open to all filmmakers and their films, encouraging them to make films and screen them. Always egging them along to flex their creative muscle, learn and progress. The rules of contention at the moment are ‘world premiere only’ and the 5 minute time limit. ‘World premiere’ encourages filmmakers to create content for the night, lending an exclusive and unpredictable atmosphere. The time limit keeps the night snappy and really an audience starts to feel a bad movie after 5 minutes. It is proposed to drop the world premiere rule and extend the time limit to 7 minutes. 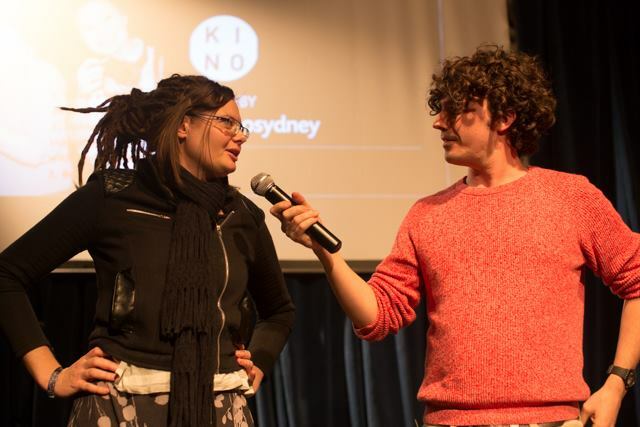 The world premiere rule is to encourage more Sydneysiders to take that first step into the world of Kino before we start working on them to make films specifically for Kino. The time limit change is a similar reason but also to allow Kinoites who want to flesh out their stories a bit more to do so. The risks? We become known for screening films that have appeared plenty in Sydney and that the screening becomes longer and more frustrating as awful films drag on. There are creative twists on this: perhaps films over 5 minutes will face the ‘gong’ if they do not raise to a certain quality, or films longer than 5 minutes have to be pre-screened to check for a certain amount of effort. We want Kino Sydney to grow and think modifying these rules may help. But we’d love to hear your feedback below or on our Facebook page.